The government today formed a cabinet committee to review the pay structure for public university teachers after months of protests. Finance Minister AMA Muhith will lead the body, a gazette notification issued in this regard said. A cabinet division official confirmed the matter. 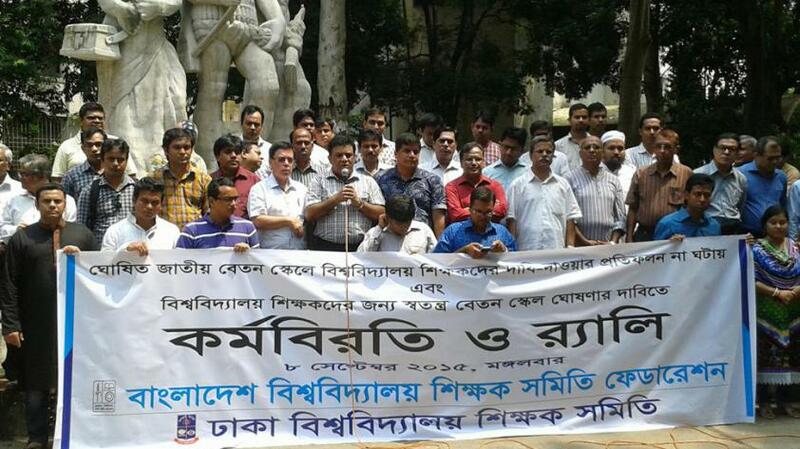 Teachers of the 37 public universities in Bangladesh have been demonstrating for demands of a separate pay structure. Pressing for the demand, they observed work abstentions and a strike. The government recently approved a new pay scale for civil servants with retrospective effect from July 2015. The teachers claimed that pay scale was “disgraceful and discriminatory”.